From Andrew Jackson to Barack Obama, a cheeky timeline of a revered and reviled American political custom. Richard Nixon thought that doing it would make him look like a “jerk.” Geraldine Ferraro said it spread germs and lipstick, but she did it anyway. Andrew Jackson suckered his secretary of war into doing it for him. Davy Crockett did it so much it should have been mentioned in his theme song. We’re talking about kissing babies, that revered yet reviled, much-analyzed yet meaningless American political custom. Few candidates dare avoid it, yet no one can point to a case of a politician’s failure to do it (or to do it well) causing an electoral defeat. As we head into the thick of another hotly contested baby-smooching season, here’s a short history of our love-hate relationship with a campaign trail cliché. The woman handed the dirty-faced infant to Old Hickory. Jackson took it and held it up before him. General Eaton pretended to do so with a wry face, amid the laughter of the crowd, and Jackson then handed the baby back to the happy mother. Feminist activist Elizabeth Cady Stanton vigorously disapproved of opportunistic baby-kissing, both as a matter of children’s rights and poor hygiene. 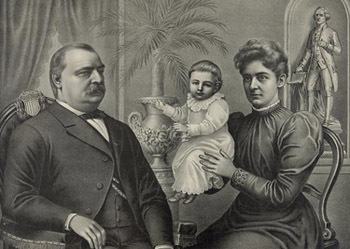 Writing in the 1890s, she praised President Benjamin Harrison after he’d “quickly refrained” from kissing a baby offered to him. He certainly had the courage of his convictions, for most Presidents especially if they were standing for re-election, would have succumbed. The New York Tribune says in this connection that kissing babies is good politics. It pleases the proud father, and wins the sympathy of the crowd who witness the paternal act. 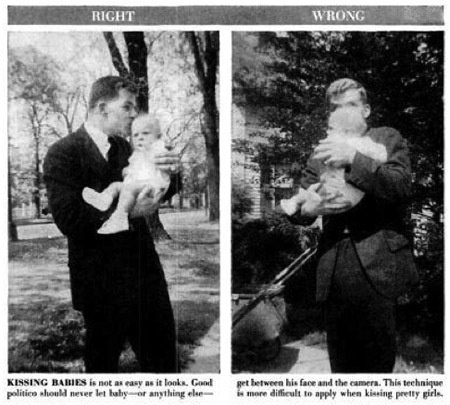 “Perhaps he thinks babies should not be indiscriminately kissed,” says the editor; “if so, he has taught a good lesson. The parent who always expects the baby to be kissed, and the person who feels bound to kiss every baby that comes within reach are equally foolish and obnoxious characters. Children have a right to their kisses as well as older folks. They should not be made the prey of every officiously amiable person in their circle. In short the practice of kissing children at sight is a nuisance, and ought to be abated. But there is a more serious view still to be taken of it, as the germs of disease may often be conveyed in this way.” Amen! 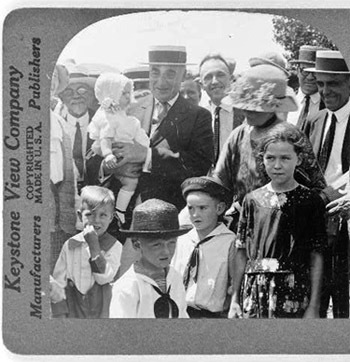 Cleveland and Harrison were not not the only chief executives to eschew baby-kissing. 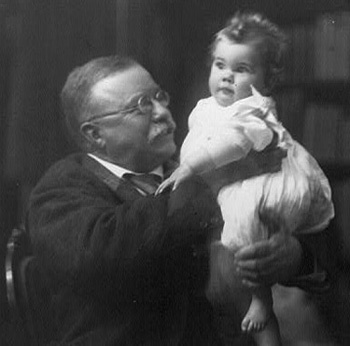 In May 1903, a correspondent for The Summary reported that rumors that President Theodore Roosevelt “had been making a practice of kissing babies indiscriminately” while campaigning in the West were false. CLEVELAND, O., Sept. 26.— “Let the politician kiss,” said Health Officer Friedrich today, discussing the hygienic side of the baby kissing question. “The transfer of germs is a possibility, of course, but so is my death If I take a ride on a street car. Down east there is a cry, a sort of reform wave, against the candidate who kisses babies. They say he is mowing down lives to get to his office. 1958: Better than a kiss? 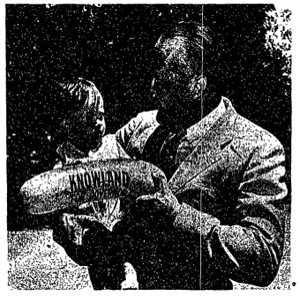 In 1958, the New York Times ran a photograph of Sen. William Knowland foisting a sausage-shaped balloon upon a child, suggesting that “despite a reputation for a somewhat austere personality,” the California Republican might endear himself to “child-lovers” with this “variant of the politician’s traditional baby-kissing gesture.” The photo’s quality is poor, but is included here only to show the tot’s justifiably skeptical expression. While blintz-eating and other epicurean forms of electioneering may swing the odd vote here and there, I very much doubt if baby-kissing cuts any political ice whatever. In this respect I agree with Mr. Arthur Levitt, the Democratic organization candidate for Mayor of New York, who sternly refused to kiss babies when he toured the Rockaways during the primary campaign. I refuse to believe this reserve had anything to do with his defeat. He was merely exercising every man’s right to draw the line.